Though many of the funniest people in the world wind up in Los Angeles as some point, which comedians can really call LA their home? From podcast pioneers to comedic movie stars, here are the some of the funniest people who got their break in the City of Angels. Though he grew up in New Mexico, Marc Maron got his start in stand up when he worked as the doorman at The Comedy Store. Hanging out with Sam Kinison and other heavy hitters, Maron eventually fled to the East Coast to get away from the abundant drugs and alcohol that dominated the scene. 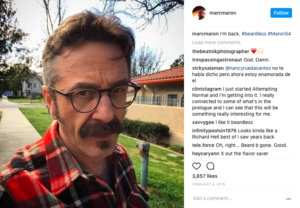 After years of perfecting his act, performing one man shows, and hosting a political radio show, Maron found his greatest success with his groundbreaking podcast WTF. Now, he’s back in LA interviewing the best in the business for his signature show. You can also see his incredible performance in the Netflix series Glow. Will Ferrell is one of the biggest comedy stars in the country and he’s always called Southern California his home. Born in Irvine, CA, he moved to Los Angeles in the early’90s to start his career. Instead of gravitating towards stand up, he found a home for his improvisational skills and penchant for playing characters at The Groundlings. The improv and sketch troupe helped hone Ferrell’s skills and bring him to the attention of Lorne Michaels of Saturday Night Live. After becoming an SNL powerhouse, he’s been famous for making people laugh ever since. 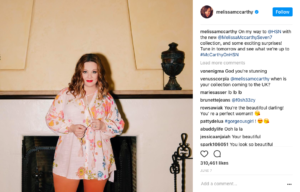 Though she was born in Illinois, Melissa McCarthy started her career in Los Angeles. Before her breakout turn in Bridesmaids, the hilarious actress tried stand up, improv, and sketch before she found a home at The Groundlings. Her wild, yet grounded characters and impeccable improv skills made her a perfect fit for the comedy theater. 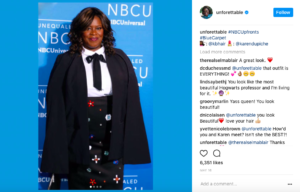 She worked steadily as an actress for years and gained greater national attention with her starring role in the CBS show Mike and Molly. But it was Bridesmaids that truly made America see McCarthy for the star she is. Now, she’s one of the most successful comedic actresses in the country and shows no signs of slowing down. 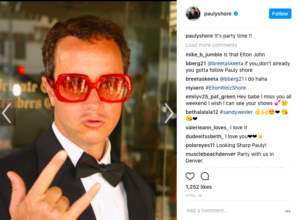 You probably know him best for his work in ’90s comedies like Encino Man and Son-in-Law, but Pauly Shore was practically born into comedy. His mother, Mitzi Shore, ran the famous Comedy Store in LA. The club started the careers of Jay Leno, Jimmy Walker, David Letterman, Sam Kinison, and many, many others. Growing up around such comedic talent, it’s no surprise that Shore decided to go into the business for himself. Though he’s not making teenaged stoner comedies anymore, he still tours nationally with his standup act. Growing up in not-so-glamorous North Hollywood and working construction jobs doesn’t sound like an ideal training ground for a career in comedy. 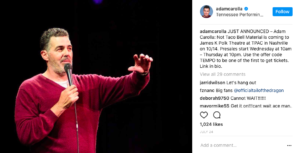 But Adam Carolla sprang from those humble roots to become the podcast master he is today. He’s always lived in Los Angeles, but didn’t get his first break into comedy until he volunteered to be Jimmy Kimmel’s boxing coach for a radio exhibition fight Kimmel was involved in. The two became close friends and writing partners and worked on bits for the Kevin and Bean Show long before The Man Show ever came to be. Shortly thereafter, he was cast as the co-host of Loveline, a long running radio program and MTV show about real life love advice with a comical twist. Carolla blew up, later hosting his own morning radio show before starting his podcast empire. Now, he still does The Adam Carolla Show podcast, directs documentaries, and even spoke before Congress to talk about the role of free speech in colleges. Pretty good for a guy who dug ditches for the first years of his career. 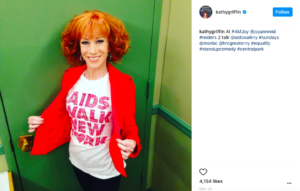 Though she’s come under some bad press lately, Kathy Griffin is an insanely tenacious comedian who’s worked incredibly hard to become the star she is today. She moved with her family to the city at 18 and had to live at home till she was 28, when her career started to break through. Before she found her niche in stand up, Griffin tried a little bit of everything. She studied acting, tried doing improv and characters at The Groundlings, but it was never the right fit. Griffin started doing her own gossip based stand up show and she found her comedic strength. Since then, Griffin is always working to create new material and has starred in everything from a network sitcom to her own reality show. Griffin has proved that she’s one of the most hilarious comedians working and she’ll continue to work hard to maintain her incredible success. When UCB opened a theater in Los Angeles, many of their original performers were New York transplants. 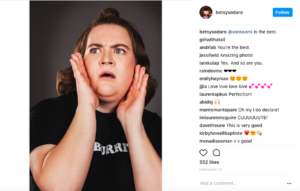 But Betsy Sodaro soon stood out as one of the best improvisers from the LA scene. Born in Colorado, she spent some time taking classes in Sacramento before moving to Los Angeles. Sodaro was quickly a stand out at UCB and started booking a wide variety of comedy roles. Though she’s not yet a huge star, Sodaro has over 20 film and TV credits from 2016 alone. Soon, you’ll be able to see her in the Kathy Bates comedy Disjointed. Take note of her now, so you can say you loved this future superstar before she was famous. The Parks and Rec favorite started her career in stand up before landing her most notable role. Before moving to LA, she worked in the pharmaceutical research industry before deciding to give that up for a career in comedy. It took her two solid years of performing before she started making money in her field, but she began to tour colleges around the country and make a name for herself. She landed a number of TV and film roles and eventually wound up on Parks and Rec where she played the amazingly confident Donna. Now, she’s featured in A Girlfriend’s Guide to Divorce and has a few more exciting roles in the pipeline. Jamie Foxx is a man of many talents. A trained musician with a gorgeous singing voice, a powerful dramatic actor, engaging host, and hilarious stand up, Foxx can pretty much do it all. But it all started in a stand up club in LA. When Foxx was starting out, he realized that the open mic he frequented would call up females earlier in the night to break up the sea of male comedians. 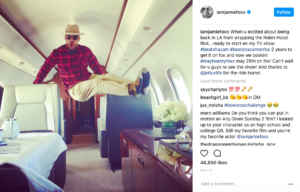 So, he decided to change his name from Eric Marlon Bishop to Jamie Foxx. Since Jamie was often mistaken for a female name, he got more time in front of the mic and the rest is history. 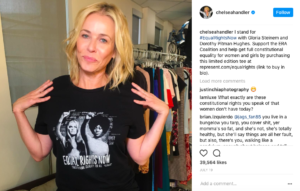 Originally, Chelsea Handler moved to LA to become an actress. It wasn’t until she amused a class with a tale of her DUI that she thought about doing stand up. Since then, Handler has become one of the most honest, outspoken comedians around. She’s never afraid to share her loves, mistakes, and many adventures with alcohol. Her hit show Chelsea Lately made her a household name and now she’s a best selling author and star of two Netflix programs, Chelsea Does and the streaming channel’s first talk show, Chelsea.